Obstructive sleep apnea is a chronic disorder in which patients experience a relaxing of the muscles in their throat while sleeping, which causes the soft tissue to collapse and block the airway. This causes breathing pauses, sometimes for over a minute. Dr. Donald Cadle offers sleep apnea treatment with oral appliance therapy at our New Port Richey, FL, practice, and works with patients to develop healthy habits and alleviate related symptoms. Anyone can develop sleep apnea, though it is more common in men than women. It typically goes undetected during routine medical exams, and many patients find out they have a problem only from someone who shares a room or bed with them. The most common form of the condition, obstructive sleep apnea, causes patients to experience loud snoring, shallow breathing, and sometimes even a pause in breathing, which may end with a gasp or a choking sound. The pauses and shallow breaths can happen up to 100 times in a night, and each one causes the patient to move from deep sleep to light sleep. This lack of quality sleep causes apnea sufferers to feel tired all day and have trouble focusing. Central sleep apnea is a rarer condition that occurs when the brain does not send signals to the muscles to breathe, due to instability in the respiratory control center. This condition can only be treated by a specialist. Obstructive sleep apnea can have several adverse effects on patients, aside from a lack of quality rest. Patients may have trouble concentrating and feel tired during the day. Many experience a rise in their blood pressure. Without treatment, obstructive sleep apnea can increase a patient’s risk of heart attack, stroke, and irregular heartbeats. The condition increases the risk for obesity and diabetes, and the lack of deep sleep can lead to accidents at work or while driving. 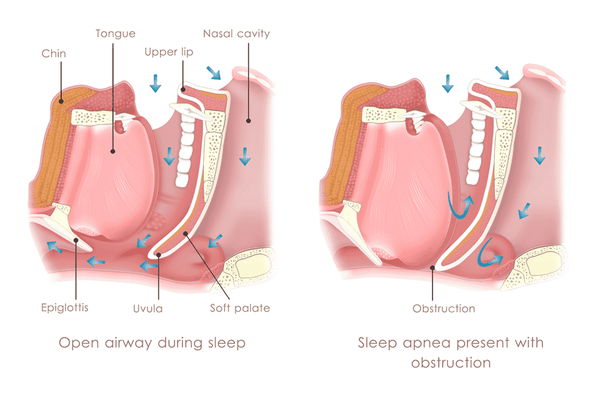 Obstructive sleep apnea occurs when the airway collapses or becomes blocked during sleep. If Dr. Cadle diagnoses you with obstructive sleep apnea, you have several options available for treating the condition. The doctor can help you initiate a change in your lifestyle, which often helps alleviate symptoms. Eating healthy, quitting smoking, and losing weight can all reduce your risk for sleep apnea. Consuming excess alcohol causes your muscles to relax, which can contribute to the airway collapse that causes sleep apnea. Avoiding alcohol consumption, especially before bed, may help you avoid the condition. Many doctors suggest using a machine called a CPAP (Continuous Positive Airway Pressure) to keep the air flowing, preventing the airway from collapsing while you sleep. 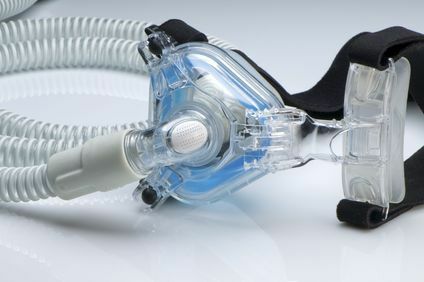 While effective, most patients find the masks they have to wear with these machines uncomfortable, and many stop using CPAP machines after a short period of time. When all other options fail, some patients explore the option of surgery. Surgeries to remove tissue from the top of your throat and surgery that moves your jaw forward to open the airway can alleviate sleep apnea symptoms, as can weight loss surgeries. 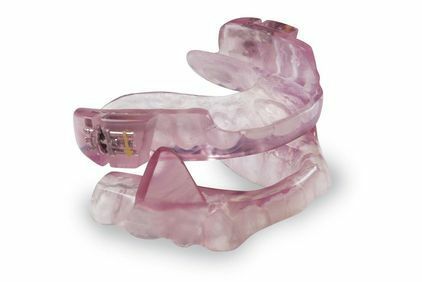 sleep apnea mouthpieceDr. Cadle often recommends oral appliances for our patients who suffer from sleep apnea. The mandibular advancement oral appliance looks like a sports mouth guard. It forces the lower jaw down and slightly forward to keep the airway from collapsing. This device can help you keep breathing correctly while you sleep, so you feel refreshed and ready to face the day when you wake. If you are sleeping poorly and are exhausted the next day, it is worth finding out if you have obstructive sleep apnea. For more information about this condition, or to schedule an appointment with Dr. Cadle, contact our office.